KG Denim Limited, a premier denim and apparel fabric manufacturer, catering to leading fashion brands and retailers worldwide. During the decades of journey, they have remained committed to a simple mantra – They believe in enabling fashion. A mere look at their journey so far bears testimony to this fact. They diverse and value integrated approach has seen to go from strength to strength. From being the reigning kings of denim, today, They are poised on the threshold of success in the home textile arena. The journey ahead seems as exciting. The Board of Directors of the Company Approved the proposal to Buyback of not exceeding 25,00,000 (Twenty Five Lakhs only) Equity shares at a price of Rs. 40/- (Rupees Fourty only) per equity share (the “Buyback Offer Price”) of face value Rs.10 each, payable in cash for an aggregate consideration not exceeding Rs. 25 crores. 1. 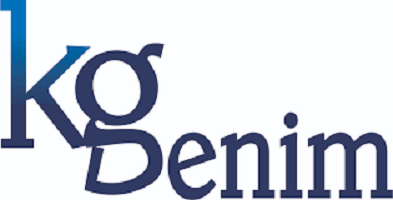 Firstly, to be eligible for the buyback the investor should have shares of KG Denim Limited Buyback offer 2018 in demat or physical form as on the record date [30.11.2018] 2. Once you have shares in demat, you can participate in the buyback process which is opening from [22.01.2019 to 04.02.2019 by selling your shares through your broker on NSE or BSE. 3. Then on [13.02.2019], the payment will be given to you for accepted shares and unaccepted shares will be returned to your demat account. 1. Buyback Announcement date: 14.11.2018—– Share Price was 36. 2. 5000 Shares bought at Rs. 36 means an investment of 1,80,000. 4. Overall we can say a profit of 20,000 an investment of 1,80,000 in less than 3 months. Entitlement of 421 shares for every 2036 Shares. Avoid this company. No upside from CMP as far as buyback is concerned. Poor OPM and NPM. The EPS of 2018 is 0.95 , on that basis, the current P/E is 42. The company has poor Interest coverage ratio. The textile sector is laggard in giving returns to investors. Stock Price is already over the buyback price.